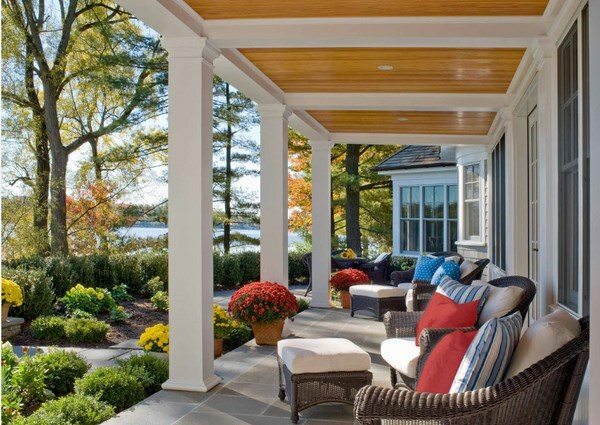 What is a veranda? 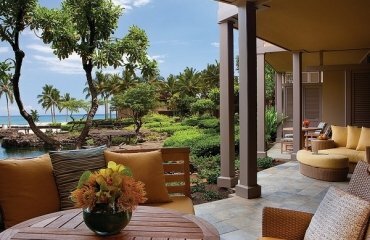 What is the difference between a veranda, a porch balcony, a patio, lanai and a deck? 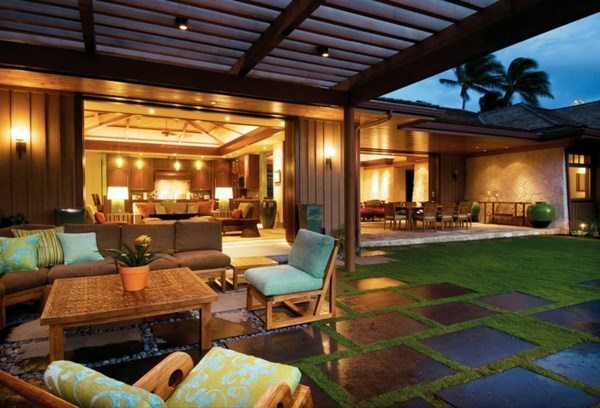 How to design and decorate an elegant and comfortable outdoor space? 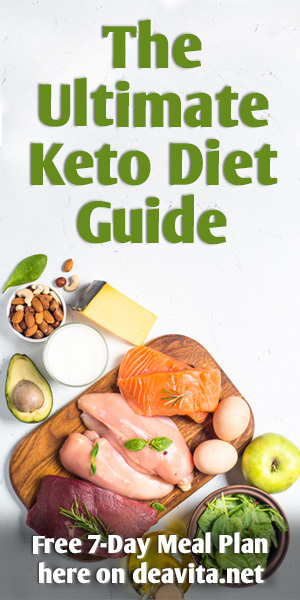 Are there any rules and design techniques that you need to follow? 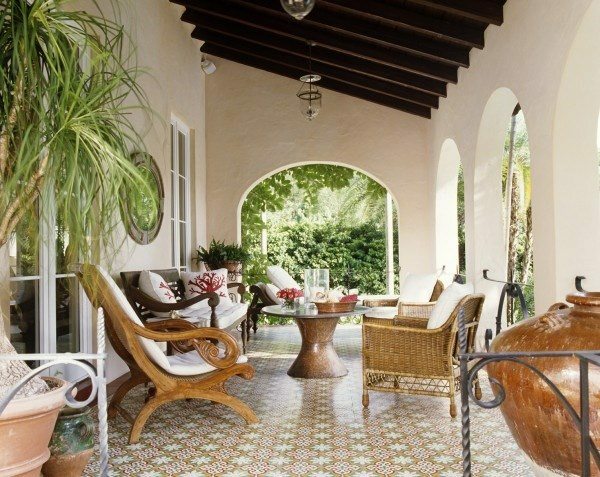 We shall answer all these questions and show you inspiring photos of beautiful verandas to help you arrange your own outdoor oasis. 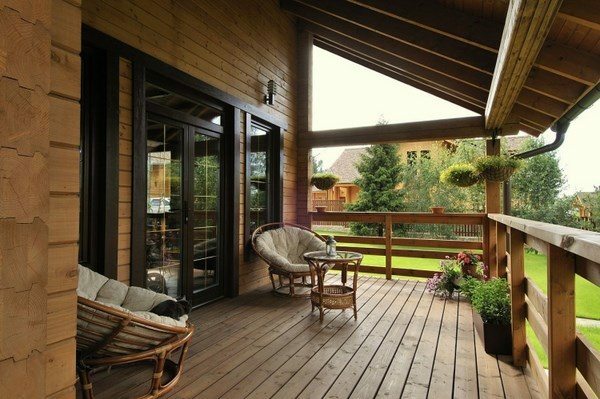 A veranda, also spelled verandah, is a roofed outdoor gallery or area, which is often referred to as a porch. Unlike the balconies which can be located on the upper floors of the house, the veranda is located at the ground floor and can have various sizes. 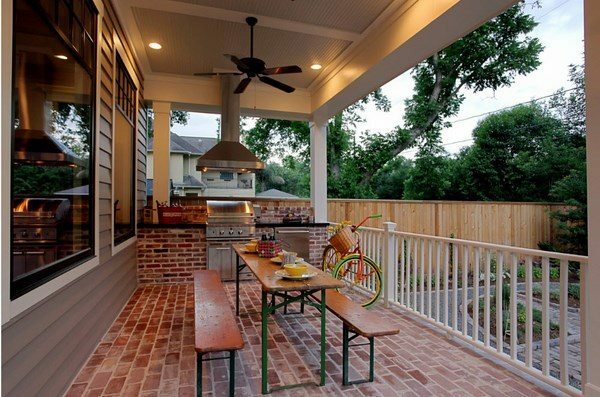 It can be at the side or at the back of the house, and parts of it can be enclosed by railing. It can be single-level and multi-level located at the main entrance or overlooking the back yard but traditionally it is located on the south side of the building which allows homeowners to enjoy the warmth of the sun’s rays as many days as possible in a year.. 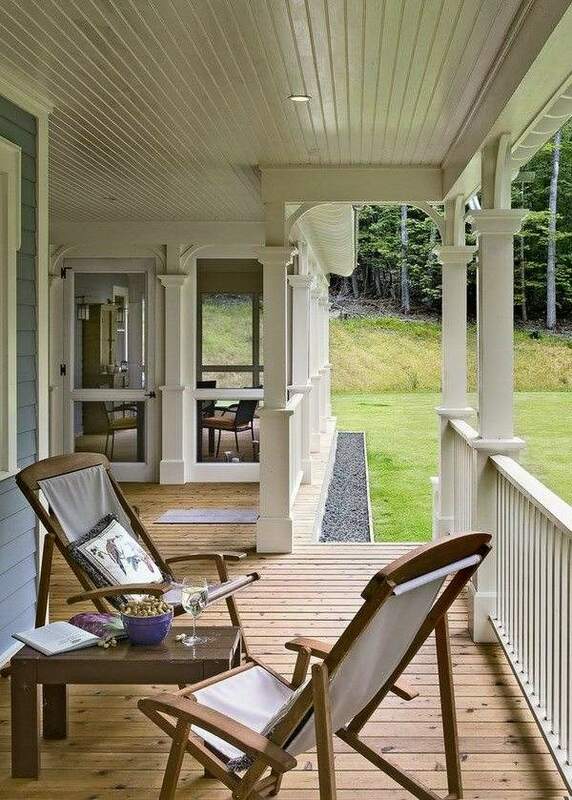 The classic veranda is an inseparable part of many old houses but it has not its popularity in modern home architecture. 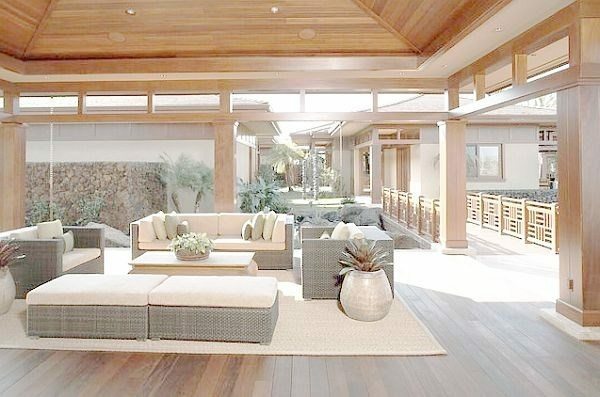 This is the space that provides the transition between the interior and the exterior and nowadays, it has a significant importance as it often functions as a reception area, as a reception area or as an entertaining space. It is the perfect place to spend a couple of peaceful hours with your Sunday morning coffee, have a glass of wine in the evening or invite a bunch of friends to share a delicious meal. Nowadays, with the desire to spend more and more time outdoors, the veranda becomes an important place which accommodates a variety of family activities and gatherings, a place for relaxation, an inviting and welcoming area of the modern home and an addition to the living space. 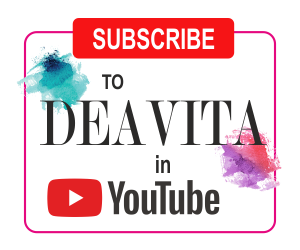 If you do not have a veranda, we hope that you will find your inspiration for this wonderful addition and those of you, who are lucky to have one, will find many ideas for the decoration and the latest trends in design. 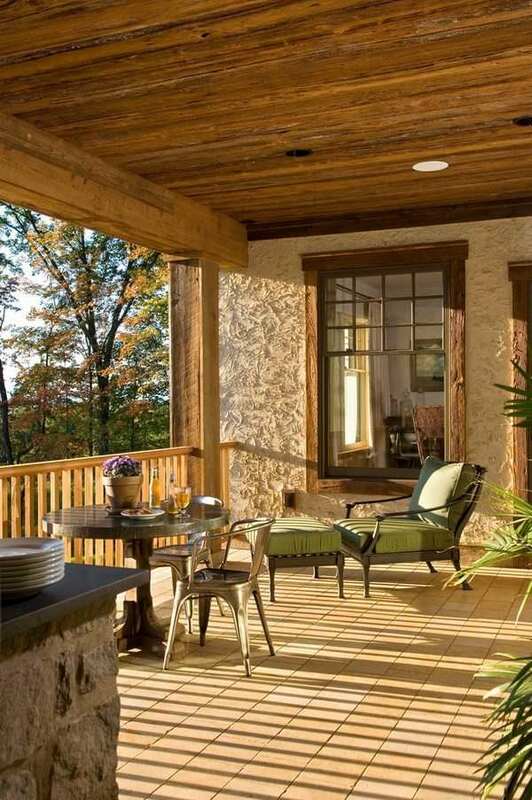 So, what is a veranda and how to build one? As we mentioned above, this is a gallery at the ground floor of the house. 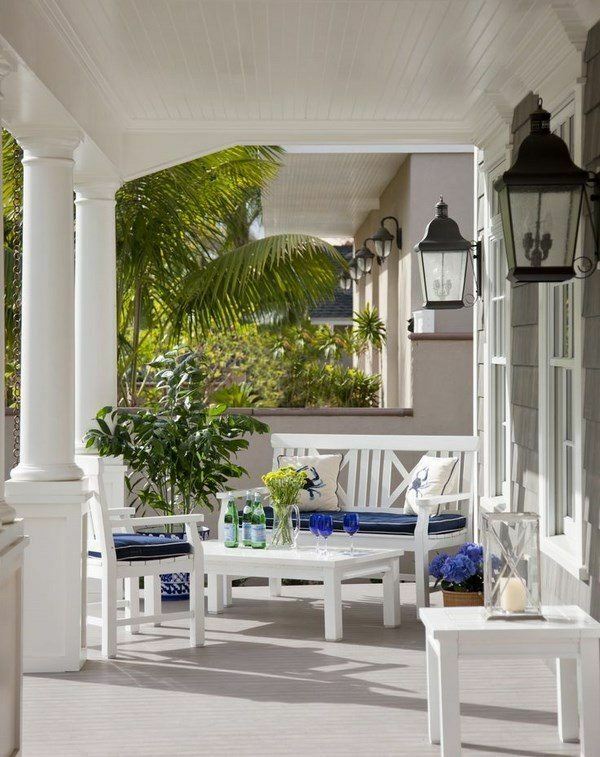 Typically, verandas are built at the same time as the house. 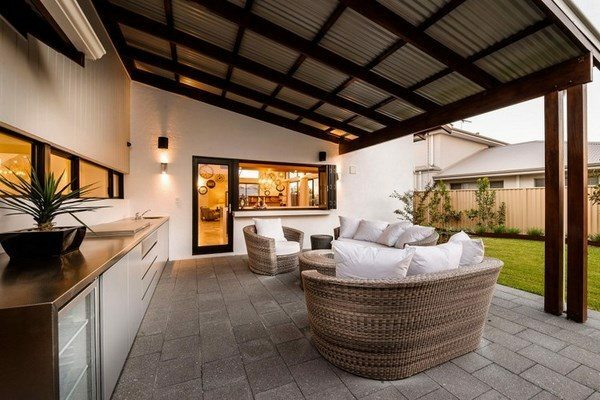 However, if you wanted to add a veranda as an extension to your living space, it is not a problem to build one as an individual architectural project after obtaining the required permits and approvals. 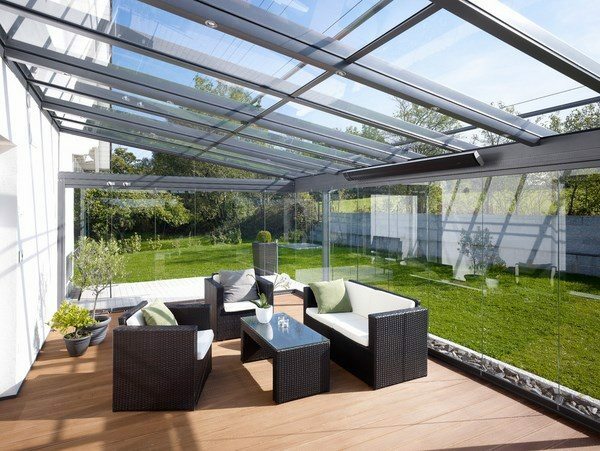 Traditionally, the roof is a permanent structure but nowadays modern technologies provide opportunities for retractable canopies or removable sun roof. 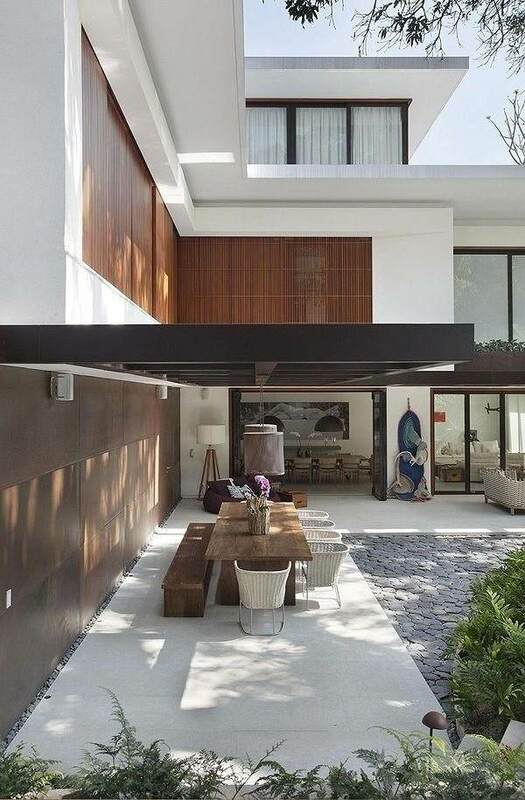 The most popular materials for modern constructions are wood and aluminum, but the choice of material will depend on the architectural style of the main house because the outdoor space needs to blend harmoniously with both the building style and the overall landscape design. 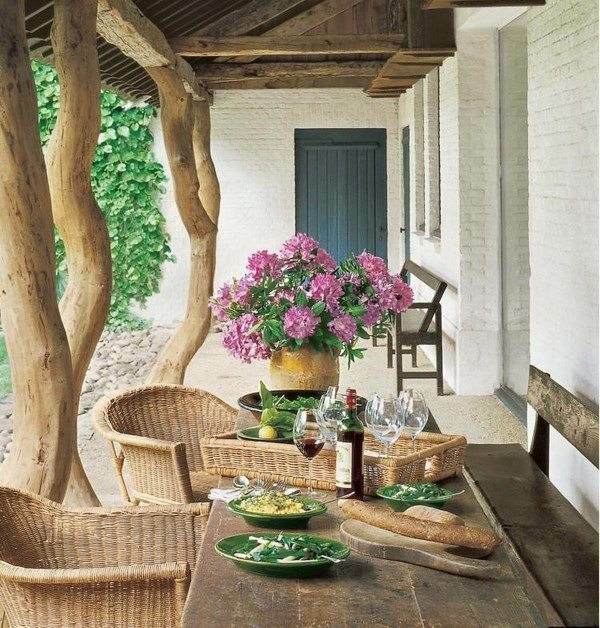 Usually the veranda is made of the same materials as the house itself. In wooden houses it is made wood, in brick houses it is made of bricks. For example, if you lived in a contemporary house it will be a good idea to choose lightweight aluminum profiles. They are easy to use and maintain, and are offered in a wide color palette. 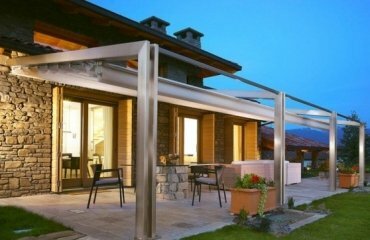 In addition high-quality aluminum profiles also offer a good thermal insulation which is of great importance if you want to use your outdoor area in cold weather. Wood, of course, is the all-time favorite construction material and highly valued for its incredible aesthetics and warmth, richness and unique patterns and grain. Natural wood has many advantages, and just one of them is the possibility to recycle it. Wood is reliable, strong, durable and offers many benefits like excellent acoustic and thermal insulation properties. When properly treated wood will last for hundreds of years. 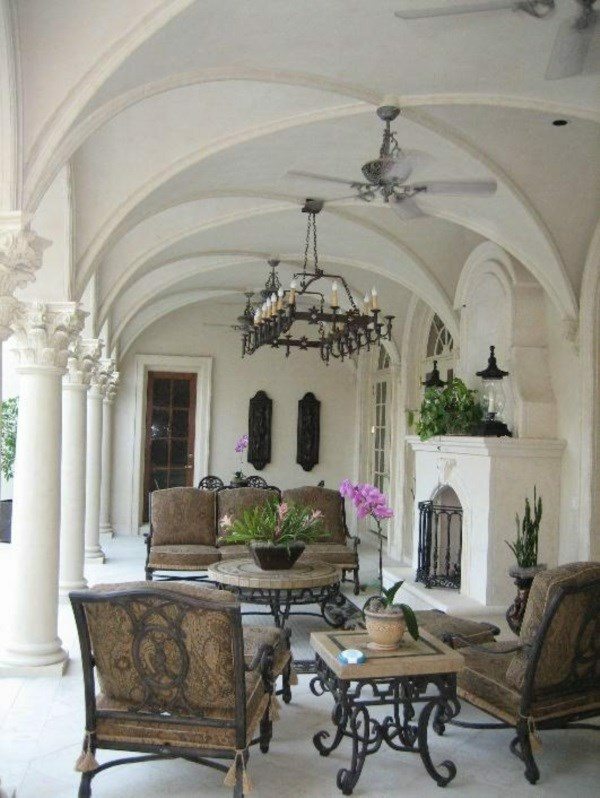 Verandas come in two main types – as an open gallery and as a glazed structure. 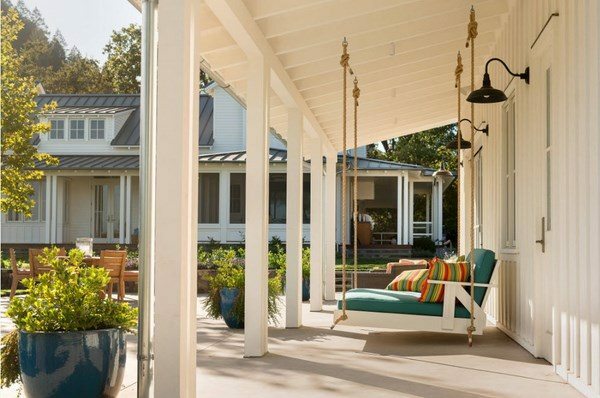 The open type is often mistaken with a patio or porch deck but the difference is that decks are platforms on a separate base while the base of the veranda is attached to the house. 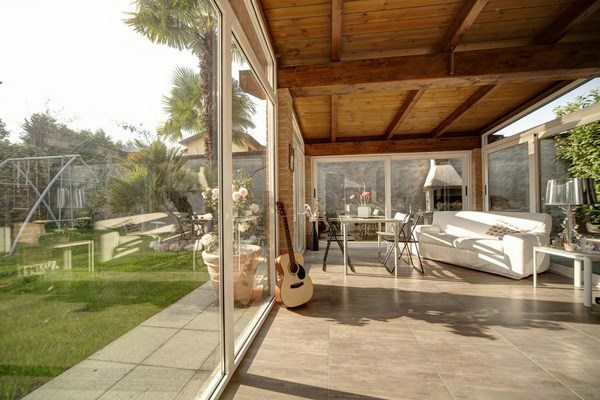 The greatest advantages of open verandas are light and space. The design is focused on airiness and unobstructed view of the environment. 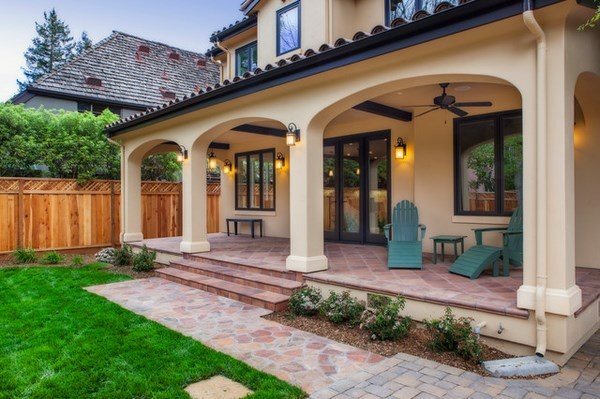 Glazed structures are more often seen in contemporary homes. Whether you will close only a part or the whole area is a matter of personal choice and preferences. 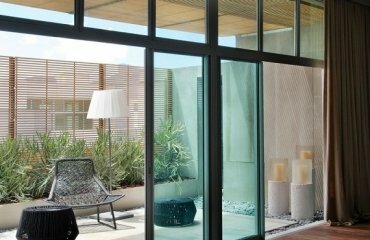 Frameless glazing is an excellent solution when you do not want to block the view and glass roofs give the extension a feeling of lightness and airiness. 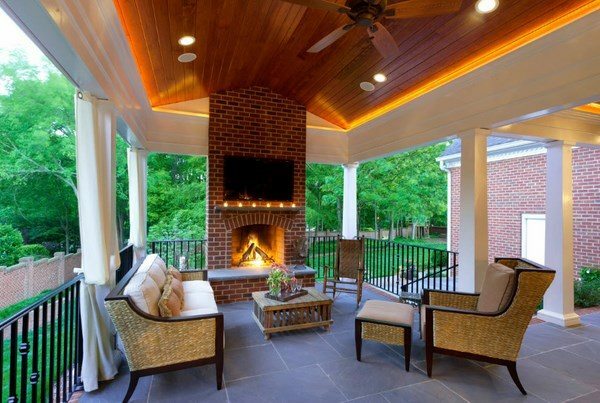 Usually the veranda is not heated, but if you want to transform it into a space that can be used all year round, you should think of a heating system (air conditioning, floor heating, etc). Decorating your veranda will depend on the overall style of your interior and exterior as the space needs to blend seamlessly with both the indoor and garden area. 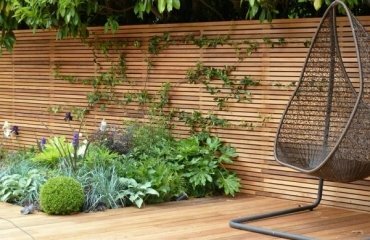 It is good to know the function that you outdoor area will perform, as this will affect the type of furniture as well as the decor. 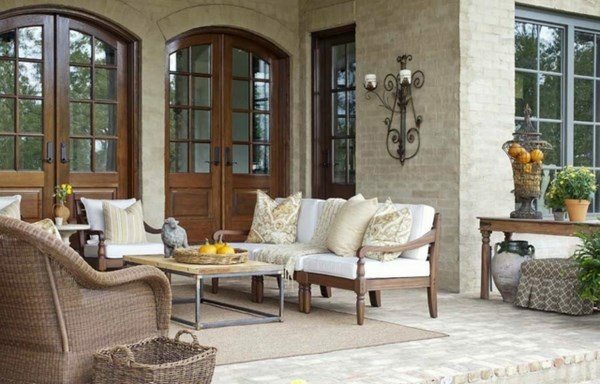 For example, if you need an outdoor living room for the summer you will need upholstered furniture, coffee tables and even a fireplace as an additional feature. 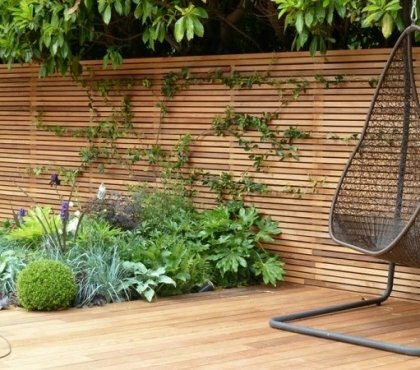 Outdoor lounge furniture made of wicker is an excellent choice. Add soft pillows and choose removable covers that are easily washed in the washing machine which will make maintenance a lot easier. 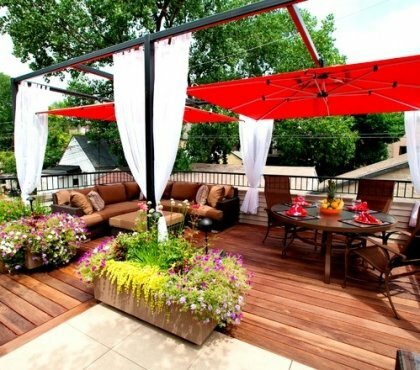 If you want an outdoor dining area for the family or as an entertaining area, the veranda is the best place. Choose your dining furniture set as per the style of the decor. A barbecue area under the roof is the best option for serving tasty food to your family and guests in any weather and we all know that any dish is tastier if you taste it in the fresh air. Relaxation area with swings and lounge furniture is another option. Suspended sofas and swings allow you to relax in the fresh air without compromising the level of comfort. Add a small table and enjoy a cup of coffee or tea or put books and magazines for reading. Let’s have a look at some of the most popular decor styles and their characteristics which will help you with the choice of finishing materials, color scheme, furniture choice and accessories. Modern style is usually based of the motto of minimalism “Less is more”. 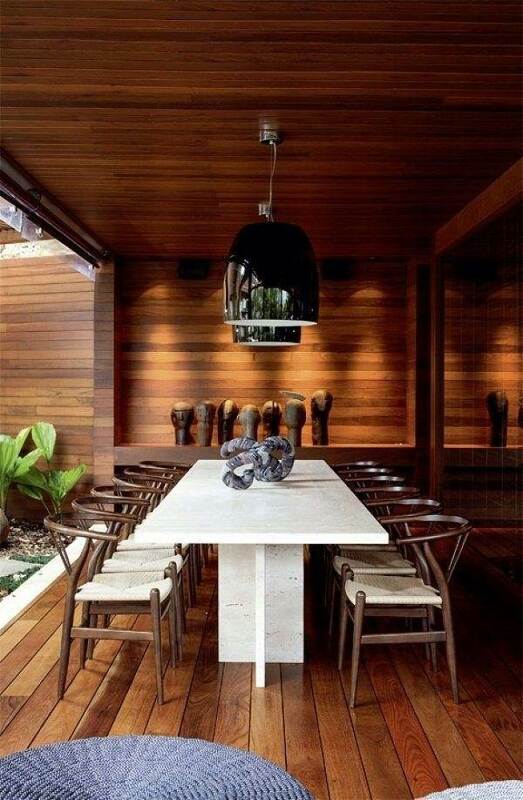 Verandas are designed with strict lines, laconic forms, simplicity and functionality in everything. It does not mean that modern style designs lack comfort and coziness. The furniture is simple, but practical, often original designer’s pieces, decorative elements are minimal. Materials vary from wood, metal and stone to various composites and PVC. Traditional style designs feature handrails or balusters made of carved wood or wrought iron, instead of pillars, you can use hexagonal or round columns. 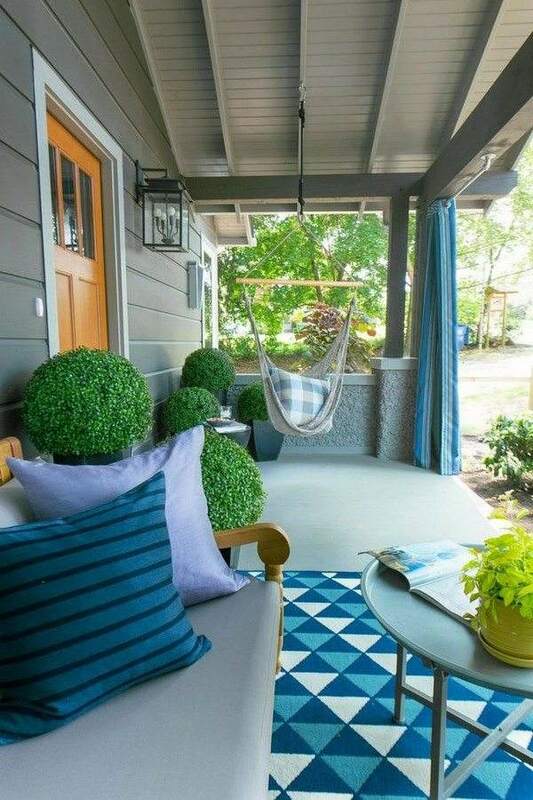 If you decide to use the railings to improve the safety of the veranda `this is of importance for families with small children and pets) then do not forget that this architectural element has to add to the overall aesthetics. Wood and stone are the typical materials, so if you have chosen this style opt for wood species with beautiful grains – for example, cedar or mahogany have unique color and grain pattern and will serve for a long time. Colonial style is based on the use of motifs of classical architecture, beauty, symmetry and convenience, decorating with flowers and borrowing elements of architecture from countries – former colonies. Stone and wood are the primary materials as well as brick and clay, copper and wrought iron. Colors are light close to neutrals. One of the main and best characteristics is that the style does not limit your choice of furniture. For example, you can combine solid wood furniture with wicker chairs and colorful pillows and carved wooden cabinets, vintage consoles, leather puffs, etc. 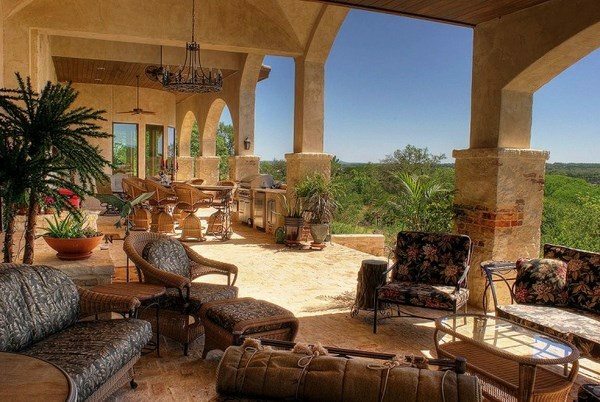 Mediterranean style, as well as country style is characterized with an abundance of wood in the design. Rough wooden benches and chairs will be an ideal choice and if you prefer wrought iron furniture – no problem! Add fabrics in pastel shades – cushions, tablecloths, upholsteries and use accessories like ceramic and clay pots, baskets, etc. The beach or coastal style will be an ideal choice for the decoration of the veranda if your home is located on the seashore. Choose light colors – white is the typical basic color and you can add accents in blue, turquoise. Sand color is also a good option for the color scheme. 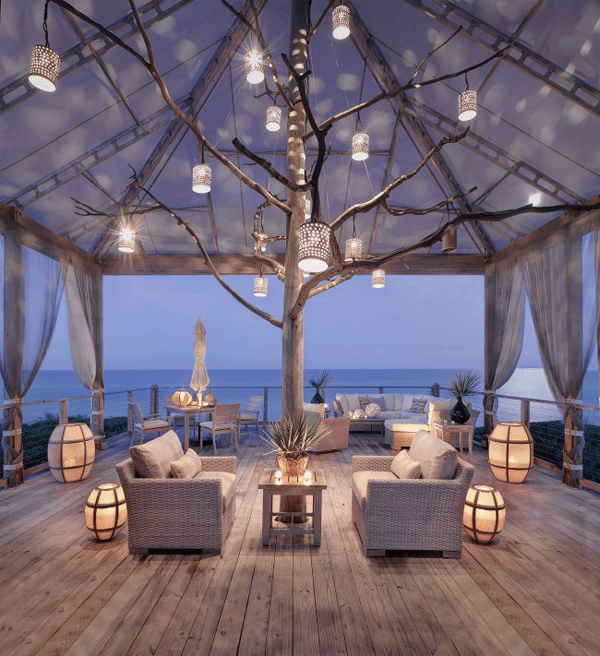 Decorate with driftwood, seashells, glass, rope, etc. These are just some of the design and decor options. There are many other styles to choose from depending on your taste – from Moroccan and Shabby chic to Bohemian or Tropical. 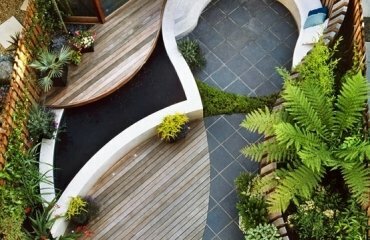 However, there are some universal options which are suitable for verandas of all shapes and sizes and work for any style and design. 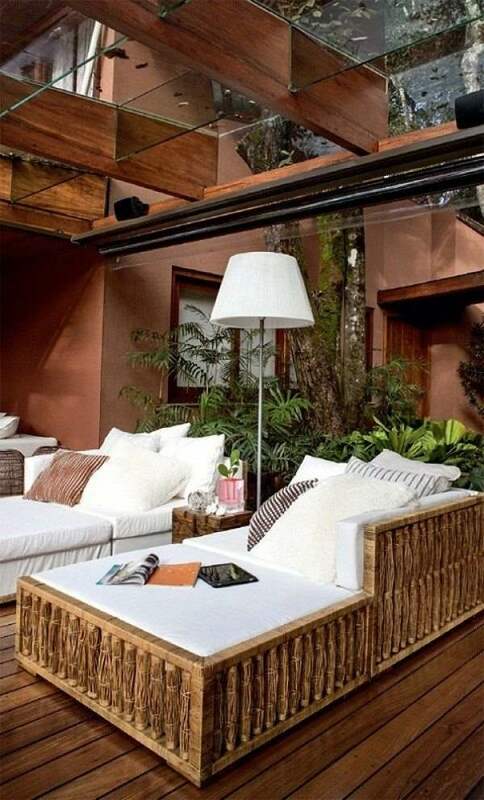 Lighting can be used as decoration – lanterns, wall sconces, floor lamps – everyone can use his imagination and creativity to add to the charm and appearance of his veranda. Another universal decorating option is to use plants. Large and small containers, hanging pots with beautiful blooming flowers and fresh green will transform the space instantly and make it more inviting and welcoming. Curtains are another universal option for decorating your veranda. Depending on the location you may need to protect its space from extensive sunlight. Using light translucent fabrics will have a double effect – protect you from sun rays and adding style, elegance and sophistication to the design. 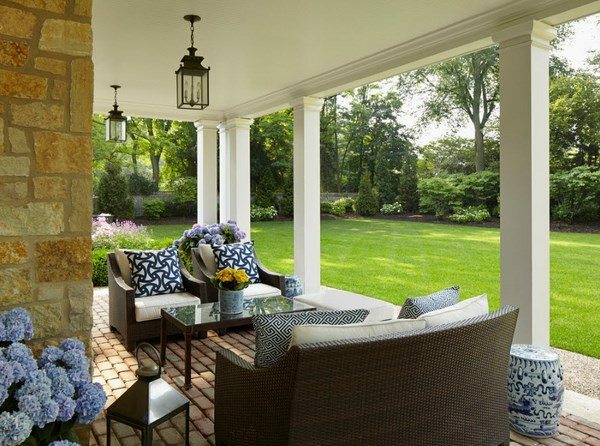 Some verandas are small and adding a fireplace, barbecue area or a place for rest with large sized furniture is, practically, impossible. 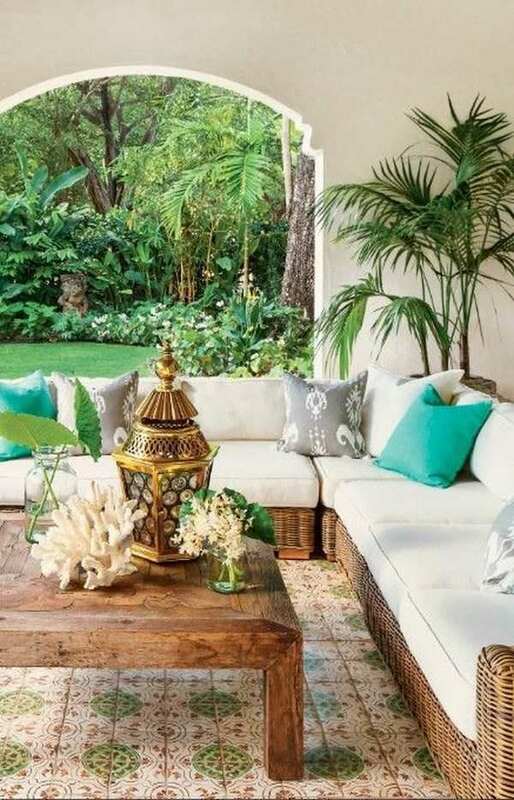 However, it is not impossible to create a beautiful space and add small size furniture pieces which will allow you to enjoy the warm summer days. 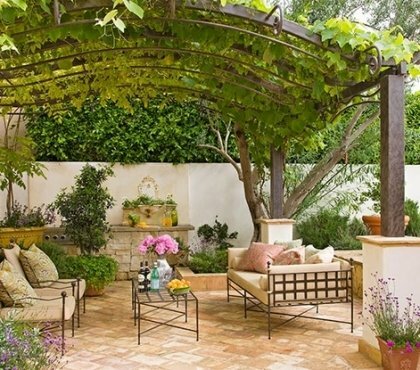 Wall sconces will add to the atmosphere and will not take up from the floor space, and hanging baskets with flowers will add color and fragrance to the outdoor area. There is no need to use a large number of pieces of furniture or many accessories which will only clutter the space. Cute little candle holders, vases or statuettes will help you create an atmosphere of home comfort. 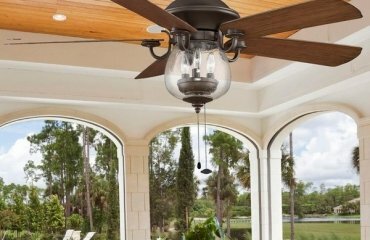 How to choose the right outdoor ceiling fan for the patio area?